Google has been holding app sales for quite some time now but somehow there are still many that don’t know about it. And it is Google’s fault in the end. Neither the Play Store website nor the Android app does a good job showcasing these on sale items. Or at the very least let users know that some apps are on sale which they’ll have to find on their own. It could be like a treasure hunt. So we’ve been bringing you some of the on sale stuff that we think is worth your time. 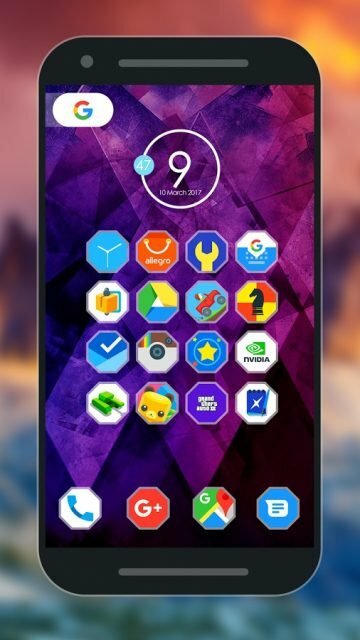 We’ve done it before and here we are again with some paid icon packs and live wallpapers that are currently free. Most of these are only free for today so you might have to hurry. We say, don’t think twice and just install everything. 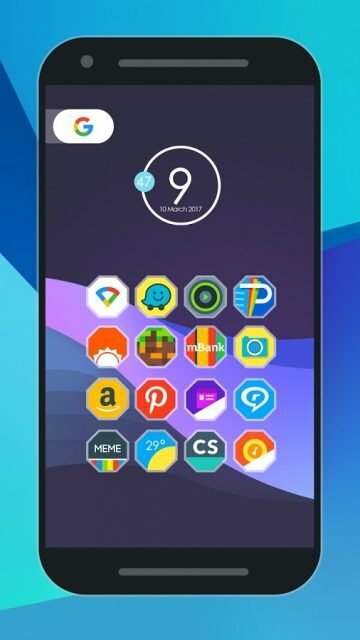 These paid icon packs and wallpapers are free, after all, so they can’t harm your pocket and in case you end up not liking it you can always uninstall it. This way, the app also gets added to your Play Store library meaning you can install it whenever you want without paying anything. Cool! ANDROMEDA VINTAGE uses bold lines and a vintage color palette instead of a natural one. It does, after all, has the word vintage in its name. 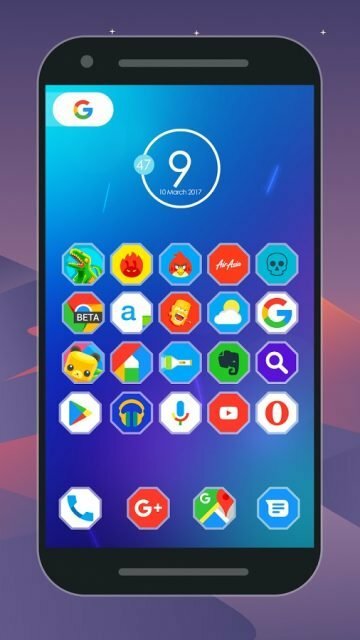 There are many other icon packs on the Play Store which make use of the same color scheme and if you’ve liked any one of them you might just like this one as well. The icon pack contains over 2500 icons and 35 qHD wallpapers to go with them. 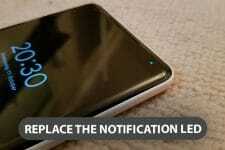 It supports dynamic calendar icons and the app only makes icons so much easier to find. You can search for them or sort them into categories. If you’re a fan of uniform icon shapes but have found yourself wishing for something different, this is the one icon pack for you. Most uniform shaped icon packs are either a circle, a square, or a mix of the two. And there are quite a few different takes on them as well but the shaped essentially boil down to the two. Fondos, instead of a circle, square or squircle, chooses to opt for octagonal icon shapes. Other than that interesting choice, Fondos uses more or less the default app icons which I like sometimes. 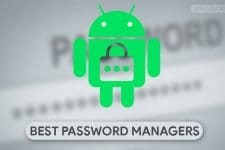 It tends to preserve the originality of each and every app while still creating a uniform look. Kind of like adaptive icons. Fondos has more than 1150 full HD icons and the dev promises weekly or monthly updates. There are icon packs that are just that and then there are icon packs tailor-made with a theme in mind. Terra icon pack is a part of the latter group which is quite obvious from the screenshots above. Luckily, 3800+ HD icons in the pack also come with cloud-based HD wallpapers so you don’t have to hunt for something to go with the icons. It also has support for dynamic calendar icons. This app recreates paintings into three dimensional live wallpapers. Most of the paintings in the app are Vincent van Gogh including one of his most famous works, “Bedroom in Arles.” It makes use of OPEN GL 2.0 and is not that high on resources, therefore, consumes less battery. Usually, the wallpaper only moves when you swipe on the home screen, but there is a cinematic mode that takes you on a tour of the entire room. Followers of the dark side can rejoice for the dark lord has finally listened to your prayers. Gothic live wallpaper places you in the midst of a spooky cathedral where some hooded men are probably carrying out some sort of ritual. There are 9 different cameras around for you to choose from or simply enable the cinematic mode and enjoy a free tour. Well, free if you install it while the sale lasts.